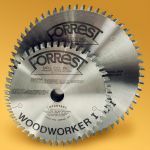 These trim and cross-cut ALL PURPOSE blades give scratch-free POLISHED cuts on wood, CROSSCUT up to 2˝ Thick. RIP up to 3/4˝ thick. 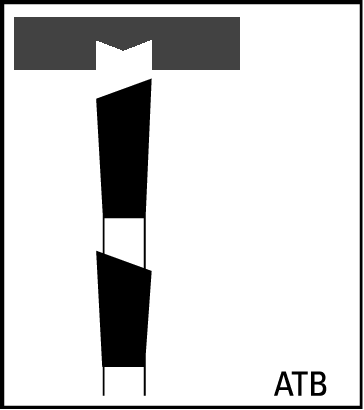 They have a 30° Alternate Top Bevel with a 5° Face Hook on 10˝ diameters and smaller. They are also made with DOUBLE-HARD and 40% STRONGER #C4 Carbide. • Saves 1/4 wood loss on each cut. 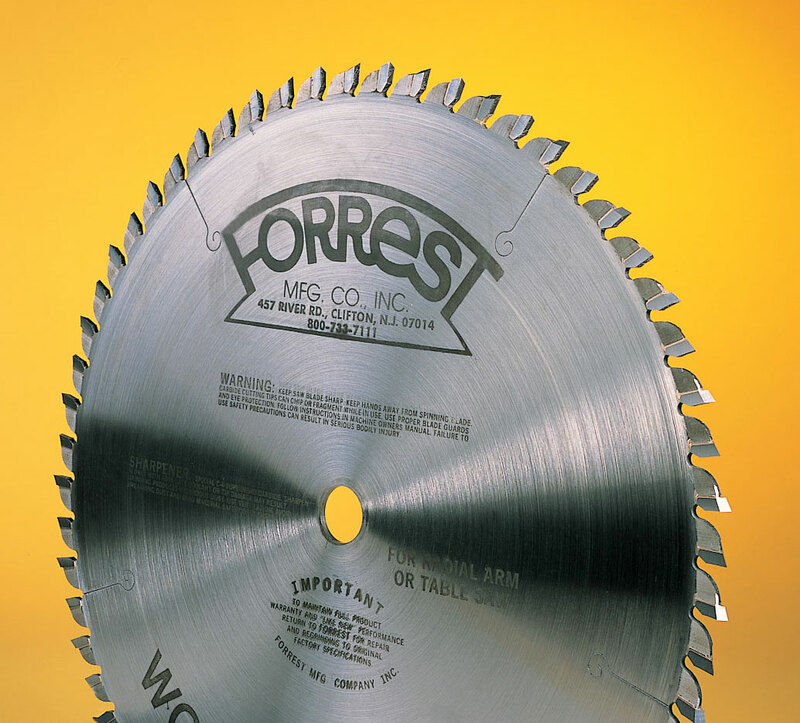 • Feeds easily when used for moderate rips and crosscuts on a table saw. • Reduces “JUMP IN” for better “PULL-CONTROL”. • Eliminates bottom splintering on RADIAL ARM CROSSCUTS. • Can be used on all saw machines. Our STIFFENER IS STRONGLY RECOMMENDED TO BE USED AGAINST the outside of the blade for the smoothest cuts.